Roughly 80 million people have has their personal information exposed through a hack on Anthem’s computer systems. 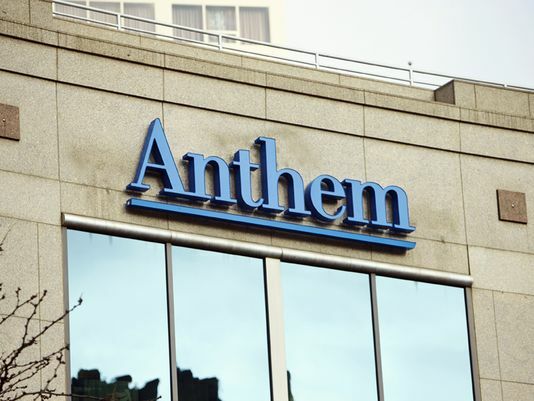 Anthem admitted that its systems were breached through a sophisticated cyberattack in letters to customers sent out this week. The information exposed included names, birthdays, addresses, employer information, email addresses, Social Security numbers and medical identification. Anthem has contacted the FBI and a leading cybersecurity firm to investigate the attack and provide recommendations to improve its security features for the future. The attack was originally discovered Jan. 29 by a systems administrator who noticed a database query running with his identifier code that he had not initiated. According to Bloomberg News, Anthem’s breach investigators are looking at Chinese-sponsored hackers as the possible culprit. Chinese hackers are also believed to be responsible for a breach at Tennessee-based Community Health Systems last year. That breach involved 4.5 million patients nationwide. Numerous companies have had reams of customer information stolen during cyberattacks occurring over the past 18 months. The Anthem attack is likely to be the largest data breach disclosed by a health insurer to date. Anthem has not disclosed exactly how many millions of people have had their information exposed through the attack, but estimates from security experts put the number at around 80 million. Anthem is currently the nation’s second largest insurer. Previously known as WellPoint, Anthem is one of 37 licensed providers of Blue Cross Blue Shield plans across the nation, providing health insurance offerings in multiple states. Current and former members whose information has been accessed will be notified individually that their information may have been compromised. Affected parties will receive credit monitoring and identity protection services free of charge from the company for a period of one year. Affected parties should regularly check their bank and credit card statements, review credit reports each year and check their Social Security data to ensure that their personal information is not being used. Any suspicious activity can be reported to the company showing the activity, to Anthem using a toll-free number at 1-877-263-7995, and to the FBI.